The Montessori Graduation Day ceremony commenced with the little children narrating their experiences and the things they liked most about being in Montessori. 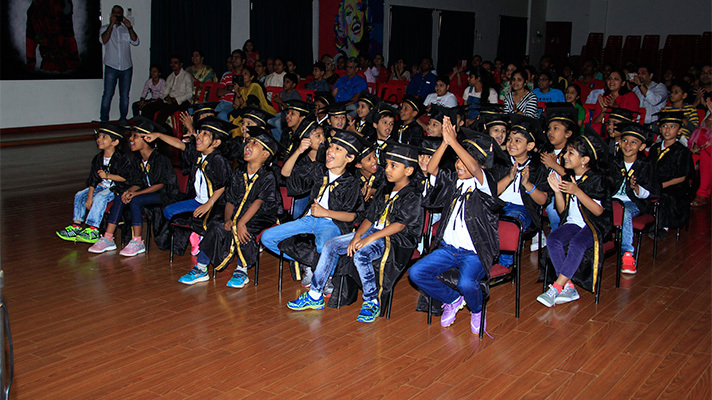 Certificates and mementos were given to the graduating children which was greatly appreciated by the overwhelmed parents and grandparents who were present at the programme. The children sang the song “We shall overcome” in English, Tamil and Hindi. The finale was a power point show which visually captured the journey of all the graduating children through their 3 years in Montessori. The programme ended with the rendition of the National Anthem. 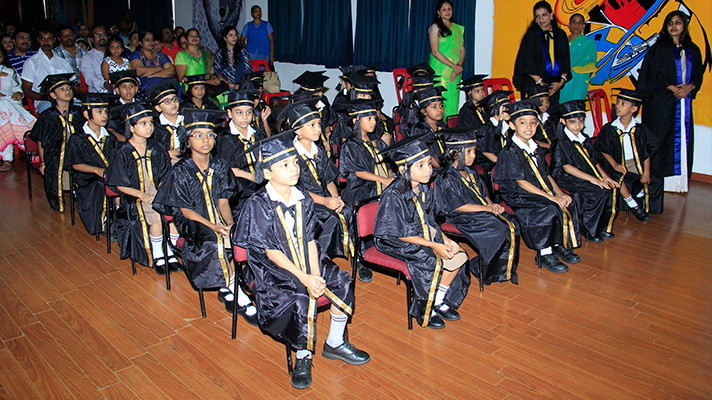 The Kindergarten Graduation Day ceremony commenced with the lighting of the Traditional lamp. 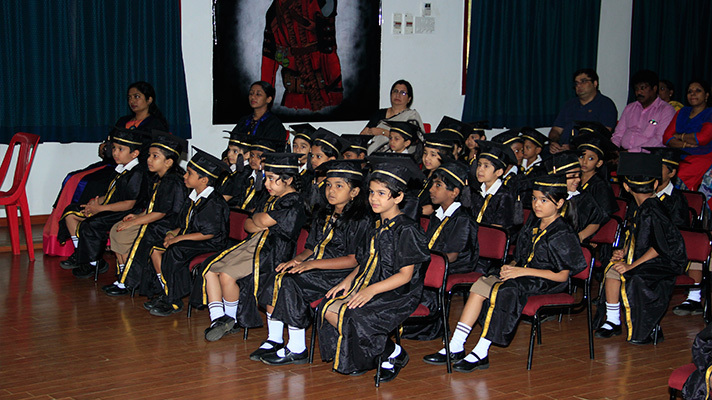 Children were adorned in their convocation gowns and hoods. Covenants were received by the children with great aplomb, amidst ovation from parents and grandparents who had come to witness this important landmark which is the first step in the ladder of Education. The parents lauded the efforts of the school in bringing about a sea change in their wards with kindness, help and encouragement given to the children by the teachers, who with their pleasant smile and friendly demeanour, could leave a lasting impact in the lives of the children. The programme ended with the rendition of the National Anthem.